A "DREAM HOME"... COME THROUGH! It has to be in a location that is convenient to travel in and out of the city as well as in close proximity to most amenities. How do you envision your “Dream Home"? Of course, this HOME has to be stylish, elegant and best suited to your lifestyle. This is in every homebuyer’s wish list and with careful as well as sensible planning, your dream can become a reality. Buying a home is a monumental decision. The first step in your home buying process is to obtain the professional guidance of your lender or financial adviser who will help you in determining what is affordable for you. When your vision does not match your affordability, it can be a great disappointment, especially when you have found your Dream Home but could not afford the price. It is therefore very important to establish a price range that works within your budget. 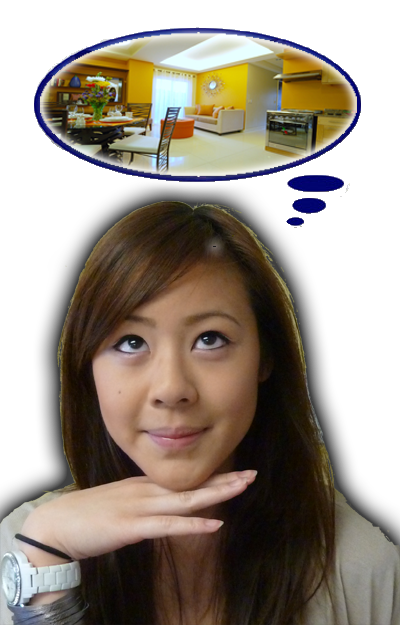 The next step for every homebuyer is to find that perfect “location, location, location” …. This essential piece of the puzzle will impact your lifestyle while you live in your home. It has to be in a location that is convenient to travel in and out of the city as well as in close proximity to most amenities. From an investment point of view, buying a home in an established neighborhood is a wise move, but don't discount the up-and-coming communities. They may take some time to develop into a thriving neighborhood, but when they do, your home will be your life’s most valuable asset. Choose wisely. You can always change the appearance and layout of your home, but you can't change its location. Once you have a budget and a location in mind, it's time to zone in and begin your search for that ideal home. Make a checklist of what's important to you. There is no shortage of condominiums in Davao and the builders are eager for your business. A little healthy competition doesn't hurt and puts prospective homebuyers in a great position to get a home of their dreams.